How Do I Launch The AeroFS Appliance With A Hypervisor? 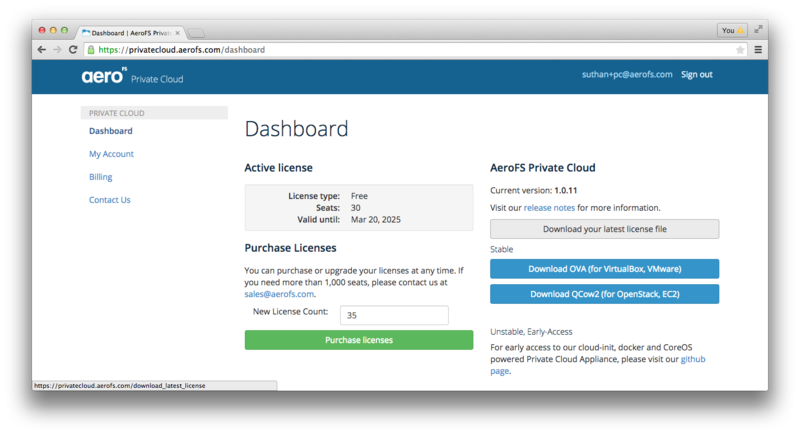 You will need the latest AeroFS Appliance image, which can be obtained via our Private Cloud Administrative Panel. Click Download appliance image to get the latest image file. Click Download your latest license file. You will need this license file later on in the installation process. Launch the downloaded image file using a virtualization platform of your choice (see our supported platforms document for more information). 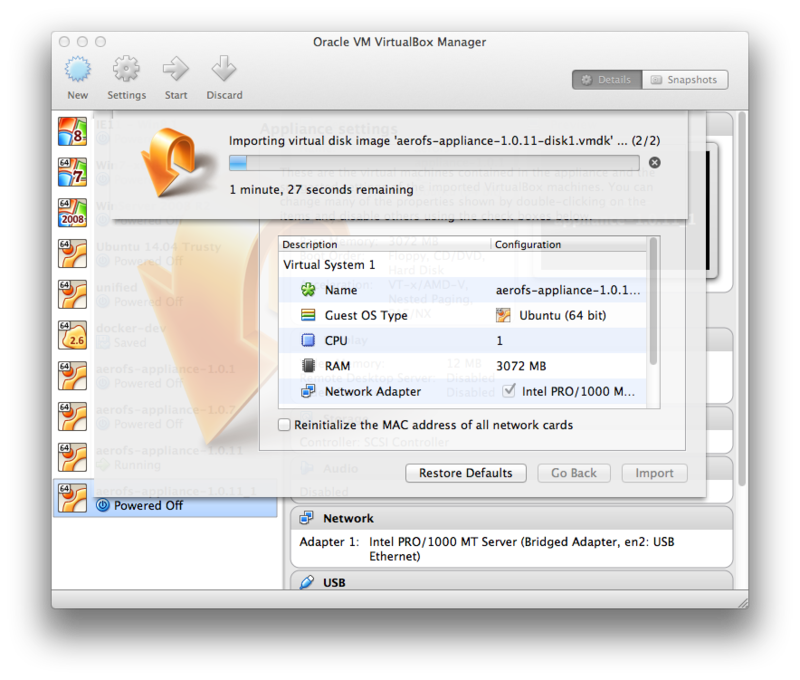 The screenshot below assumes you are using VirtualBox. You may also choose to launch your Private Cloud directly via docker and cloud-init. Once the launch is complete, you should see the below console screen. Configure your network settings as desired. If you are using Amazon EC2 or OpenStack, configuring your network settings on the console will not be necessary. 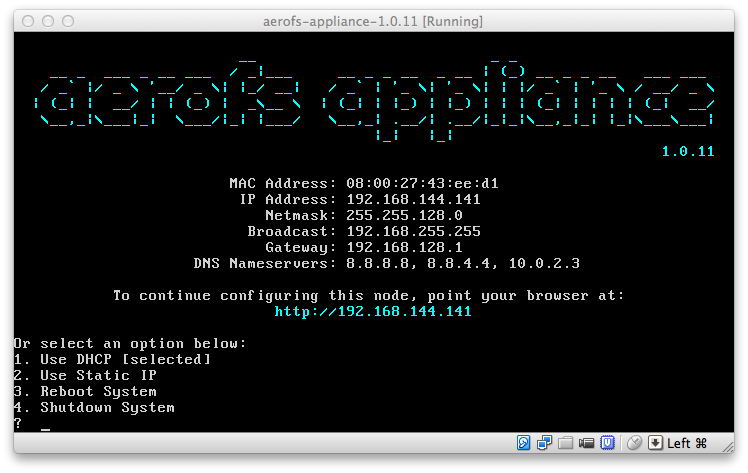 Point your browser to the IP address shown in the AeroFS Appliance console screen to begin setting up your appliance. How do I set up my AeroFS Appliance? How Do I Launch The AeroFS Appliance With Docker?